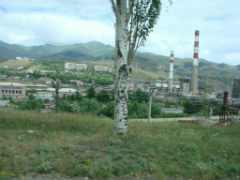 The city of Vanadzor was a large chemical production city in the Soviet era. In 1988 there was a huge earthquake in the area that killed tens of thousands of people. The area has not recovered and people are living in extreme conditions. There are many living in ramshackle containers, there are many disturbed and uneducated children and families struggling to survive. 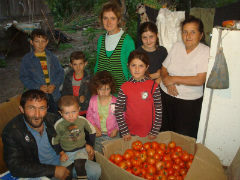 Armenia Christian Mission (ACM) has been operating in Armenia for a number of years, primarily addressing issues of poverty in communities. Many of the people being helped are from churches, but not all of them. They partner with Child Evangelism Fellowship (CEF) which is a very large organisation there. Through their network they discover many children and families who are struggling economically. CEF, in it's work with local churches is only geared up to handle the spiritual needs of the children. Many local churches have few resources to help the chronic needs of the many requiring assistance. So, ACM comes alongside CEF and the churches to help them in their work. Currently there are more than 60 families in their care, more than 280 people, sick, old, young, widows. Basically they respond to the needs of each family and it includes assisting children to go to school, helping with house building, rehabilitating refugees, assisting farmers with seeds and equipment, and heating for the winter. 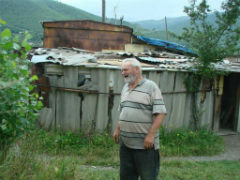 Many families live in flimsy iron and tin shipping container-like houses. They are small, flimsy, old and decrepit and in winter they are like freezer units. The temperature gets to 30 degrees below and the cold must be totally debilitating. Poverty in 30 below is unimaginable. The people they care for are in a number of parts of the country, the BHW component will be focused around the city of Vanadzor. BHW's Field Director was introduced to Harry by another Australian contact early in 2013 and travelled with him in Armenia for almost a week. Since that time the relationship has developed such that in September 2014 a decision was made to commence financial support of this partnership. 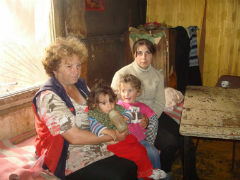 The poor families around Vanadzor that ACM is in touch with. There are many of them and they live in pitiful circumstances. These people include small farmers, widows and their children, orphans and elderly. Most are Christians or they have some connection to a local church, or their children attend a Good News Club (CEF). They are helping genuinely poor and vulnerable people. Armenia is becoming a target for human trafficking and the vulnerable are those first targeted. There is a strong spiritual component to this through CEF even though some local churches are not very active. Harry and his team have a vested interest in making it work as they are Armenians, even though they are based in Australia. The biggest weakness is lack of access to a development mindset. Harry is Armenian by origin, being born in Egypt, in a Christian home. He found Christ at the age of 14, the same year that the family migrated to Australia. He completed an apprenticeship in signs and engraving in 1972 and started his own business in 1975. He is still the director of the company. From 1972-1996 Harry was a youth leader in his local church and has been a church elder since 1990. In 2005 he took up a position as pastor of the church. In 1998 Harry returned to Armenia for a visit and following that visit founded Armenian Christian Mission (ACM). The church in Australia encouraged him to keep the mission happening and the Lord has opened many doors to serve, preach and teach in Armenia since that time. ACM is the mission wing of the Armenian Evangelical Brethren Church Sydney and has a board of seven who meets quarterly in Sydney. Harry Kiujian is the Director, Matthew Manukian the Treasurer and Arminae Chichian the Secretary. Harry is married and has three children. He is passionate about Armenia. He is a visionary and makes things happen. There are three key families and a number of staff (working in CEF). Martun and Angela Harutunian are the leaders and are employed full time. Martun is the field manager and Angela is the secretary. They are both university graduates. Martun is a psychologist and Angela a teacher. Terenig Barjamian is a graduate chemist. He is the Director of CEF Armenia and the treasurer. 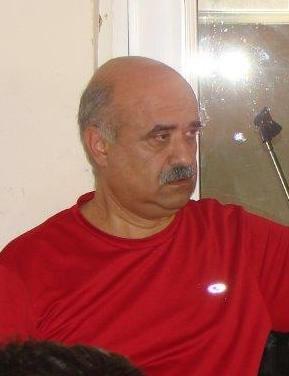 Vartan Sarkissian is also a CEF worker. He is the translator. 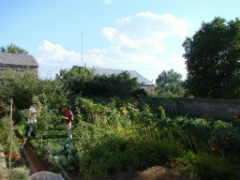 The vision is to identify and work with poor families to assist them to become self-sustaining. This requires a long term engagement that in most cases starts with aid and relief. The strategy has a number of aspects to it depending on the capacity and circumstances of each family. There are generic issues but each family has it's own needs. Some of these will include: fixing leaking roofs, improving and repairing the containers / houses that they live in, medical expenses for some of the sick (the harsh winter adds to health issues, especially in the substandard housing), distributing essential food parcels to families that are vulnerable, whether or not they belong to the program, purchasing seeds for some of the farmers, helping families become self-sustaining by giving them pregnant pigs, and providing funds for winter heating to some of the needy families. Marine was married at 16. Her husband left her and moved to Russia never to come back. She lives in a container with her three children and her mother. The container is rusted badly and it leaks. Her mother washes beds to have some income. The government supports her with $79 per month. ACM helps her by giving her family support of $80.00 per month and she also received $100.00 for winter heat. Aida lives with her husband who goes to the bush to find things that he can bring back to the village to sell. Her daughter also lives with them. 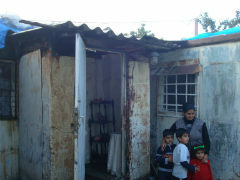 She has three children and they are living in very bad conditions. Her daughter's husband left her. They hope he will return one day and take them away. The only income they have is $86.40 per month from the government. ACM gave them $100 for winter heat and supports them with $35.00 per month for food. Armenuhi's husband suffers from depression and is currently in Russia with friends to rest. They have four children. The little girl has a cancer growth on her face and ACM is looking to find a doctor who understands her condition to see if they can help her. Armenuhi herself is not well. She does not know when her husband will return. The government supports them with $98.70 per month, they have no other income. 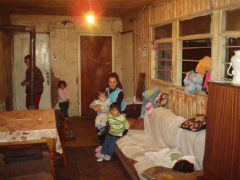 ACM gave them funds for heating this winter and this family is also on monthly support of $80.00.